Zombies are good role models for parents of bilingual children in certain ways, but not in others. Yes, zombies possess several praiseworthy traits that parents of bilingual children would be wise to emulate—and I’ll describe these in more detail in a moment—but I’m afraid there are just as many ways in which zombies are not well suited to the task of raising bilingual kids. For this reason, it’s best to be selective and adopt only those zombie qualities that can empower the process of bilingual child rearing. Because other characteristics of a flesh-eating zombie can be counterproductive to successfully fostering good bilingual ability, and may even result in undesirable cases of cannibalism, taking after these monsters willy-nilly is strongly discouraged. 1. Do not adopt the appearance of a zombie. Of course, we mustn’t judge others based on their appearance, but the hard truth is, parents that have rotting skin, ripped-up clothes, and crazy, bloodshot eyes tend to have more difficulty cultivating friendly relationships with other families. 2. Do not communicate like a zombie. Studies on communication confirm that minority language parents have a harder time providing sufficient meaningful exposure, and fostering active ability in the target language, when interactions with their children consist only of groaning and howling. 3. Do not express emotion like a zombie. Parents must be able to express warmth and empathy toward their children, but zombies are completely self-absorbed creatures and show no consideration for the feelings of others when they gnaw away on the bodies of their screaming victims. 1. Be obsessed like a zombie. The small part of a zombie’s brain that still functions is thoroughly single-minded, obsessed only with eating human flesh. Say what you want about the walking dead, but they’re wonderful examples of drive and determination. I’m not suggesting, mind you, that you start chewing on your children, or spend your life brooding solely over your efforts to promote the minority language, but I do think it’s true: The more “obsessed” you are with this aim, day after day, the more success you’ll likely experience over time. 2. Persevere like a zombie. 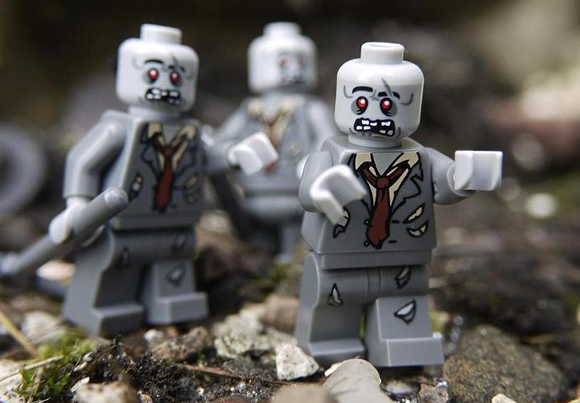 Zombies are also models of perseverance: they won’t let anything deter them from their hungry mission. Even when they suffer extreme injuries, wounds that would normally be fatal, they continue clomping toward their victims, one foot after the other. In the same way, parents raising bilingual children must plod on persistently toward their goal, no matter the difficulties or setbacks, by taking another vital few steps each day. 3. Be contagious like a zombie. When a zombie bites a victim, that person also becomes a zombie, and it’s this mechanism which leads to their collective strength and lethal effectiveness. When parents are enthusiastic about the bilingual journey, and share ideas and encouragement with others, this energy is “contagious,” too, and can fortify the efforts, and the success, of us all. How about you? 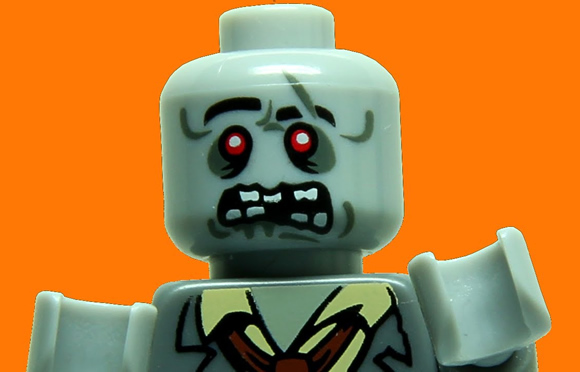 In what ways are you like a zombie, or want to be more like one? Great post, Adam. The first day I was reading your blog I got quite afraid of all difficulties and effort it takes to raise a child in two languages. But the more I read, the more I get sure how cool it will be. Thank you! Anastasiia, of course, I don’t want to scare anyone away (like a zombie?) from attempting to raise bilingual children. But it’s also important that we view the challenge realistically in order to achieve our dreams. For some parents (particularly if they have access to schooling in the minority language), raising bilingual kids is less difficult and takes less effort. However, for many parents, it’s not so straightforward and they should realize, from the start, that success often demands serious effort, day after day. At the same time, this effort needn’t, and shouldn’t, feel like a burden: for the most part, our journey should be a fun and joyful experience and that’s something I try to consistently emphasize, too. Having a good laugh is also important as your article shows!! Gretha, I’m glad you enjoyed it! What a great article! All the steps may be applied to all types of goals. Thank you. Thank you for the kind feedback, Ivone. I must admit some days I feel like a zombie! When I had a very long day and I have to translate 3 stories (our bedtime routine) into French. This is why I always make sure that I have great books in French handy so my brain can have a rest. Yes, Filipa, having ample resources in the target language is vitally important for both our success and our sanity!